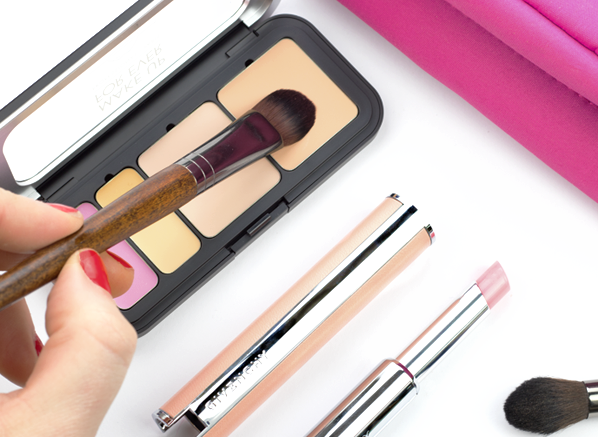 Did you know it takes the average women 21 minutes to get ready? But sometimes we’ve only got 5. Whether it’s the commute to work or getting ready for your Saturday brunch, time is precious and trying to nail the ‘put together look’ can sometimes be pretty rushed and hard to pull off. Life isn’t filtered, shiny t-zones and little dry patches do exist, but that doesn’t mean you have to put up with them. 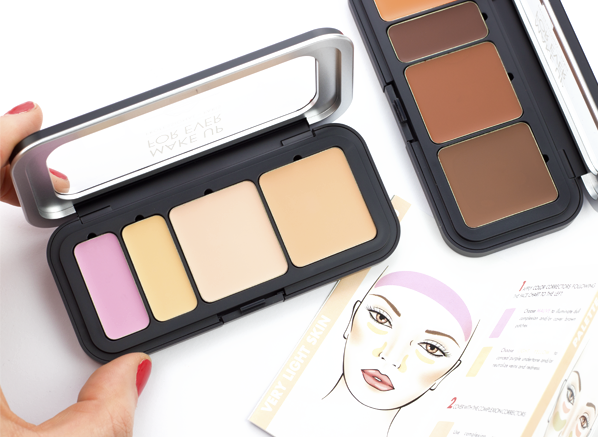 If your base isn’t lasting the shift, or you need a quick and easy fix to blur away any imperfections and even out your skin tone, keep the MAKE UP FOR EVER Ultra HD Underpainting Palette in your makeup bag for speedy on-the-go touch-ups. I use the shade 20 – Very Light because my areas of concern are around my eyes. Dark circles and fine lines are the bane of my complexion, and the combination of lilac and yellow is an easy antidote for creating radiance. 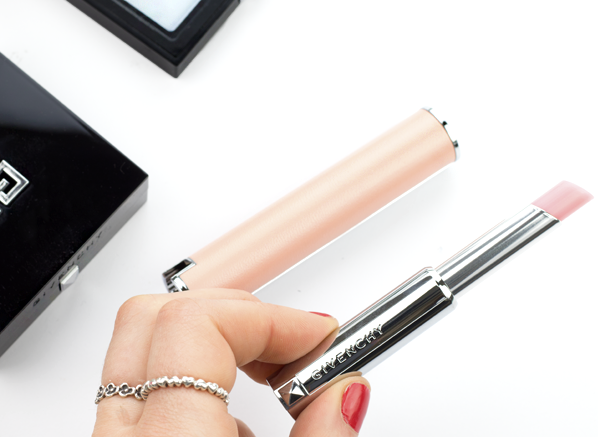 Honestly, a dry shampoo mini should belong in everyone’s handbag or desk drawer for those ‘just in case’ days. It’s the perfect pick-me-up for when you haven’t had time to wash your hair, or for the days where you’re feeling a bit flat. 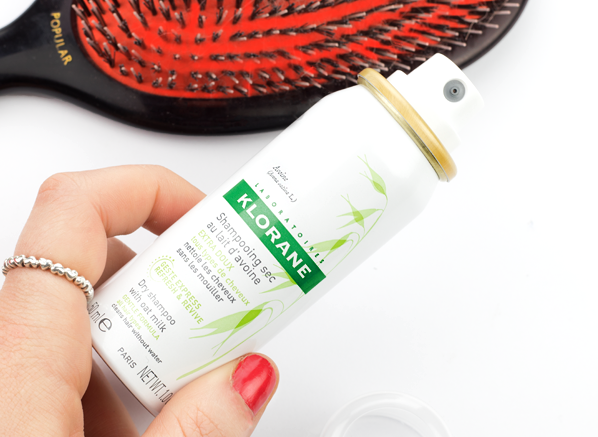 This handy spray will slot into your makeup bag, so it has the bonus of being extra discreet if you pop to the ladies room –remember, no one has to know you skipped wash day! I often get mistaken for ‘making an effort’ when I’ve only put lipstick on, so my biggest form of glamour trickery comes in the shape of the Givenchy Le Rouge Perfecto. Now when I say this is an icon, I mean it’s a life changer. Kind to your lips and delicately pigmented, it’s a pH-adapting formula that creates your own shade of pink. This superstar lip balm will always upgrade your look, even when you have seconds to get ready. When you smell like a queen, you like feel a queen – trust me it works. But! If you don’t want to travel with a heavy perfume bottle, you need a Travalo. You can fill it with any fragrance and you can change your signature every week; it fits anywhere as it’s only the size of a lipstick! Right now, mine is filled with the new Armani Si Passione fragrance, its empowering red bottle has an equally beautiful fragrance that’s an instant confidence booster. Plus, I adore its endearing story of love and lust, so when I wear it, part of me pretends to be Cate Blanchette in that incredible red Armani suit. One can dream, right? This entry was posted on Monday, March 19th, 2018 at 5:20 pm and is filed under Essentials, Fragrance, Lifestyle, Make-up, New products, Tried & Tested. You can follow any responses to this entry through the RSS 2.0 feed. You can skip to the end and leave a response. Pinging is currently not allowed.